Where can I buy a cheap but great gift for a Star Wars fan? These Officially-licensed Star Wars merchandise are a great set to gift! Made wiht stainless steel and food-grade ABS plastic flatware set. 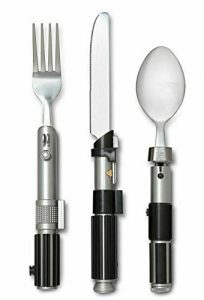 The fork, has the Luke’s lightsaber hilt and is 8 1/4″ long, the spoon is from the greatest Yoda’s lightsaber hilt and is 7 1/2″ long, and last but not least, the knife, inspired on Vader’s lightsaber hilt is 8 3/4″ long. 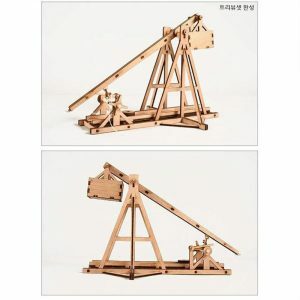 Kids would love these, and adults too! 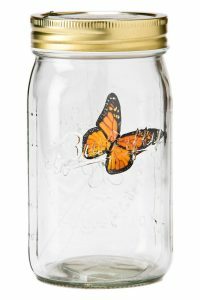 People are buying these by two, one for home and one for the office. Because having a great official Star Wars gift for less than $10 is an amazing deal. 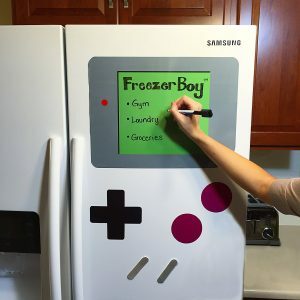 This entry was posted in Toys & Games and tagged darth vader, flatware, luke, skywalker, star wars, star wars merchandise, starwars, yoda on July 15, 2016 by WhereCanWeBuy. Where can I buy a Hillary Clinton bobblehead? This BobbleHead Hillary Clinton made with heavyweight polyresin is ideal for any bobblehead collector in this presidential campaign. This is a really great little doll. From as many as three different Hillary bobbleheads reviewed, this one is definitely the best likeness. This is even a better likeness than the full-sized Barbie doll, even with the over-sized head! It’s a limited edition, so hurry up on buying your Hillary Clinton bobblehead, right now! 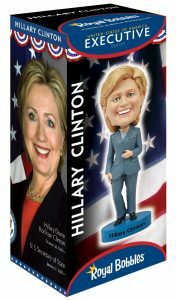 This entry was posted in Toys & Games and tagged bobble head, bobblehead, bubble head, clinton, executive, hillary clinton, limited edition, toys on July 12, 2016 by WhereCanWeBuy. 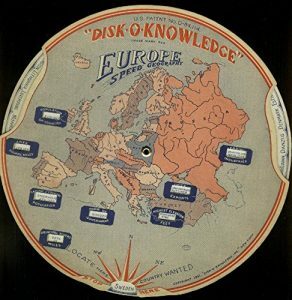 Where can I buy an antique fact disc called Disk-O-Knowledge? We got a request about finding an online store that sells this antique and simple, yet fascinating toy, called Disk-O-Knowledge. With a n approximate 8 1/2″ diameter, conditions will vary depending on stock, as this is a game from 1931, has over 85 years old. From the link, if there is someone selling it, you will find a complete as issued unless otherwise stated, an original game, not a copy. But we can’t promise there will be stock. There is stock at the moment we publish the Disk-O-Knowledge link to buy it, but it won’t probablly last long. 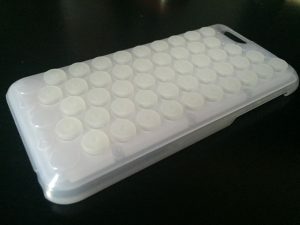 If you are looking for one, please contact us and we will try to find another source, as we always do! This entry was posted in Toys & Games and tagged 1931, antique, disk, disk o knowledge, disk of knowledge, fact map, game, geography game, map on June 1, 2016 by WhereCanWeBuy. 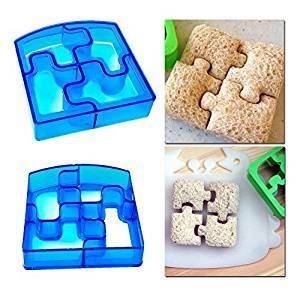 Where can I buy Nickelodeon Gak? 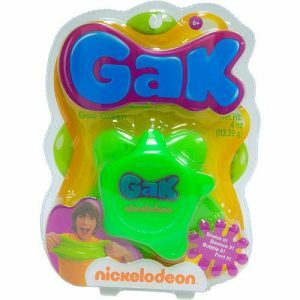 Gak is back Gak is the incredible, squishable, squeezeable, squashable, stretchable, bounceable, ploppable, poppable stuff! But we have found that it is very hard to get out of the can and hard to get off your hands. 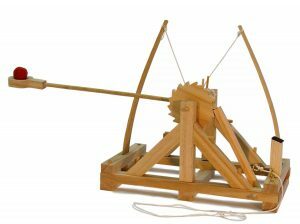 The original edition was manufactured in 1992. For those nostalgia Nickelodeon lovers like me, this would be a nice gift. But the quality and fun might not even get close to what it was 20 years ago. This entry was posted in Toys & Games and tagged buy gak, buy nickelodeon toy, gak, gak nickelodeon buy, game, goo, nickelodeon, toys on April 17, 2016 by WhereCanWeBuy.